Last year, a friend and I went to the Jimmy Choo event at H&M in Dundrum, Dublin. This year, it's the turn of Lanvin. Unfortunately, I couldn't accompany my friend as I'm currently working in Amsterdam. Therefore we struck a deal. I would head to the H&M store in Kalvertorade while she headed to Dundrum back in Dublin. I think I definitely got the better end of the deal - she was queueing from midnight, getting No 6 in line, while I headed out at 6am and got No 30. God bless the lasstitude of the cloggy nation. It saved me from the overnight ordeal I would have experienced in Ireland. I have to say that I found this even to be much more enjoyable than last year's Jimmy Choo event. While we were standing in the queue on Kalverstraat, we got treated to some free tea or coffee. In addition, early queuers also received a free Lanvin wool scarf (in navy, red or pink) and later when it started to drizzle slightly, we all received a H&M umbrella to keep us dry. Top marks for hospitality. As I was an early arrival, I was able to gain admittance in the second group of shoppers (a whole hour ahead of my friend in Dublin due to the time difference). There was a really good selection of dresses, tops, jackets and coats. The yellow, pink, purple and floral dresses were the ones which featured heavily in the advertising campaigns, but to be honest, I was more intent on a black dress - something with a little more longevity. I ended up purchasing the dress below - €149. The only fault I could find with the collection is that the largest dress size was a 42. This could be very disappointing for some folk, as a 42 really isn't all that big. All the dresses come with their own printed cloth dustcover and a chunky hanger. A great collection of accessories and shoes accompanied the clothing. I nabbed these beauties below for €99, but I did have to go for a size 38 rather than my usual 37 as I did find them tight-fitting. Sunglasses (chunky a la Wayfarer) were flying off the shelves at €19.95 while I did hum and how over the lovely chunky red gothic style necklace at €39.95. All of the shoes & accessories came packaged in lovely cardboard boxes which really added to the designer sense. Even the sunglasses came in a chunky little box. For the sake of comparison, the shoe box featured in the picture above compares well with my Miu Miu, Dior & Prada boxes at home. All in all, I enjoyed this collection at H&M. I'm not a die-hard fashionista. I prefer style to fashion. And even though this collection was definitely fashionable, a few items were also quite stylish. And the carrier bag in which I received my purchases is nothing short of adorable. Well done! Pichet restaurant is famous for a few reasons. Firstly, it featured in the TV3 series "The Restaurant" which depicted the trials and tribulations of setting up a new restaurant in the midst of the recession in Dublin. The team members have worked with many leading lights in the restaurant industry and have now turned their attention to the Pichet venture. We arrived for our pre-booked table on a very rainy Saturday. You can enter the restaurant via the cafe from Trinity Street, or more directly from a door on the adjacent side street. Inside the decor features French gray walls with comfortable blue leather chairs with white piping detail. We decided to go for the shortened lunch menu where you can enjoy 2 courses for €20 or 3 for €25. As it was a diet-free day, 3 courses was the order of the day. For starters, I chose the country-style terrine with sauce gribiche, parsley puree and brioche. I can't stand parsley, but that aside, the terrine was rather excellent. A decent sized slice was meaty and chunky and well-flavoured. The OH chose the summer vegetable risotto with Portobello pesto and pea shoots. Despite being a little too "loose", it was very tasty and nicely cooked. For mains, I chose the rare breed pork with caper and spinach cream, tomato chutney and champ mash. What I got was a very substantial pork chop, which was cooked on the right side of juicy, but unfortunately it hadn't been seasoned well prior to cooking and as a result was a little less flavorful than it could have been. The accompanying champ mash was nothing short of delicious. The OH went for the roast cod, shellfish orzo, fine ratatouille and saffron. It was exactly the kind of dish he likes, fish with vegetables and creamy sauce. For deserts, I selected the Eton mess, which was a light, crumbly pile of lemon curd, meringue, cream and strawberries. His baked vanilla cheesecake came with passionfruit jelly and little raspberries. The separate layers could all be tasted separately in the mouth with lovely clarity. We added two americanos (excellent coffee too) and one large bottle of sparkling water. This bought the bill to a very acceptable total of €60. I really felt that this represented amazing value for a delicious, high quality lunch. I don't know if I would pay the higher prices for the a la carte menu when there is such good value available on the fixed price menu. 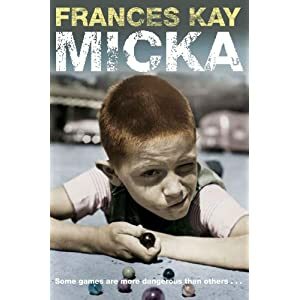 Micka has to be one of the most poignant and heart-breaking stories I have ever read.it follows the life of Micka (a poor council-flat child) and Laurie, the disturbing offspring of divorced middle-class parents. Micka is hungry, cold and frequently physically abused by his older brothers. He finds some refuge in a gypsy camp, in his artwork and dreams of owning a pup. Despite all the nastiness and violence in his life, he is innocent, but powerless to protect himself. This debut novel from the strong voice of Frances Kay is, at times, downright disturbing and horrific. Yet, it is clear that such events are real and happen to children on a regular basis. It shapes their lives, and drives them to do things that appear perfectly normal due to the warped dimensions of their world. Micka is not a happy novel, it is not a pleasant read. It is very very good. I recently had two days to myself in Amsterdam as I had decided to take two days annual leave and take a break from the hectic project on which I am currently engaged. I woke up on Thursday morning with a determination to find a nice spot for breakfast. Five minutes later, after a browsing session on the iPhone and I had selected Gartine (near Spui) as my candidate for the day. It's located down the small Taksteeg alleyway, between Kalverstraat and Spui). It's a small restaurant with several tables on two levels inside, with a further few tables located outside. Breakfast is served from 10.00-12.00 and the menu is brief. I chose the French Toast (made from the very sweet Dutch sugar bread) which came with apple and cinnamon butter (€4.95). What arrived were two delicious pieces of French Toast. The sugar bread had carmelised and become wonderfully crunchy. The accompanying apple puree was refreshingly tart when served with the toast. The dish was served on wonderful old delph with creaky cutlery - making it the whole thing feel rather eclectic and boho. Delicious. Ladies and Gentlemen, meet Miss Alexia Tarabotti. Gentlewoman, spinster and a supernatural (or in layman's terms, a soulless person). However, being soulless is not the cause of stigma for Alexia. It's more to do with the fact that her father was Italian and is dead. London society is a tough place. When a vampire rather gauchely attacks Alexia one night, she ends up accidentally killing the vampire and triggers the unwanted (or wanted, depending on how you look at it) attentions of Conall Maccon, the Earl of Wolsey, and a werewolf to boot. Despite an unfortunate past incident with a hedgehog, Lord Maccon finds Miss Tarabotti most intriguing. However, it appears that dastardly schemes are afoot, threatening the safety of Queen Victoria's empire. 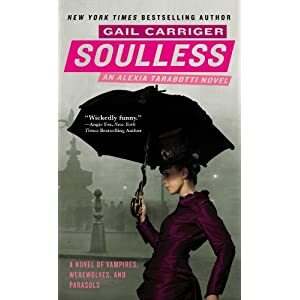 Gail Carriger has entered the vampire/werewolf arena with aplomb, creating a cast of characters that are truly memorable and entertaining. Gay vampires, masculine werewolves and feisty ladies feature alongside side-splitting scenes and action (some of the corset-busting variety). This is definitely a romantic comedy for the gothic lady. This cookbook is based on the ancient philosophy of Ayurveda - which breaks everything down into 5 elements: ether, air, fire, wind and water. Every person has a unique body type (either Vata, Pitta or Kapha) and by eating correctly for your body type, it is claimed that you can reduce stress, improve your health and sleep patterns. The book begins with an introduction and a questionnaire to identify your body type. 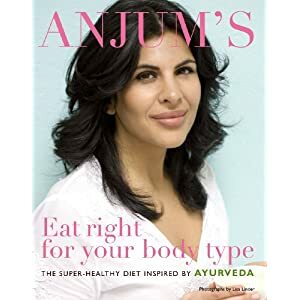 I found it hard to identify myself as one of the three Ayurvedic body types described in Anjum's introductory text, but I did like the message that she is trying to send. In our western world, with busy deadlines and days, it is all too easy to forget to examine the food that we use to fuel our bodies. Overall, it's a nice addition to my kitchen shelf as most of the recipes are light and healthy, made from fresh ingredients. I have no doubt that such food would make anyone feel healthier, fitter and slimmer if eaten regularly, but I don't see anything too dramatically different in this cookbook. Carlton Hotels have been doing some great deals lately, resulting in us spending one night at the Millrace Hotel in Bunclody, Co. Wexford. After driving down from Dublin in some beautiful Friday evening sunshine, we decided to walk through the town and perhaps find somewhere for dinner. Bunclody is a lovely little town, with the real vibe of a little Irish town. As we wandered around, we came across the local dancehall which promised a teenage foam disco later that night. Truly scary stuff. In fact, as we strolled the streets, we could in fact sense the hormone level rising as gaggles of teenagers started to gather. There isn't a lot of dining choice in Bunclody, but we were swayed by a review from Paulo Tullio (link) in the window of the Peony Court, the local chinese restaurant. By the way, a word of warning, Peony Court is located near the most free-for-all crossroads I have ever encountered. Peony Court is small and dark inside, but very nicely decorated. 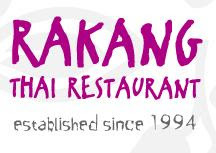 The menu is extensive, offering both Thai and Chinese dishes. However, like a lot of small local restaurants, prices are steep. We shared a bowl of thai soup to start (delicious) while we waited for our mains of scallops (with lemongrass and thai herbs) and salt & chili seafood. The first thing that struck me when the mains arrived was the size - and not in a good way. There were about 6 scallops spread thinly out on a large plate. My salt & chili seafood was only slightly larger. Considering that both courses were costing in excess of €22, this felt more than a little miserly. However, to be fair, both dishes were pretty damn good, with my salt & chili being the best version of this dish that I've tasted to date. However, any good feelings I had about the food were completely ruined by the bill. One soup, two mains, two portions of rice and a few drinks came to approx €80. The rice portions alone were €4.50! If you are already paying over€22 for a main, being charged another €4.50 for rice really hurts. It's kind of equivalent to dropping a bar of soap in the shower when in prison. We did ask the hostess why the rice was so expensive but all she could tell us was that the price was the price. Not really good enough. Given the small portions, I have the feeling that the Peony Court could be economising in an effort to stay afloat. Right now, people just don't have money to spend on €4.50 portions of rice. I used to really dislike the Havana's tapas outlet that existed on Grantham Street. I can still recall experiencing what was possibly the worst portion of calamare ever created in any restaurant kitchen anywhere. Thankfully, the tapas joint expired a while back and now Camden Kitchen has opened in its place. So far, press reviews have been positive with both Tom Doorley and the Sunday Tribune giving positive reviews. That was enough to persuade me to give it a spin when I was next in Dublin. Therefore I arrived early one Friday lunchtime and I was seated by the lovely waitress at one of the window seats. I really like the decor throughout the restaurant - it's clean and simple. The menu apparently changes every day and it's a mixture of small bites and larger mains. 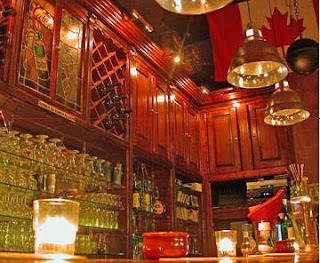 Like its neighbour, Green 19, the menu is presented on clipboards, while specials are chalked on a blackboard on the wall. I went for the charcuterie plate (pictured above) which looked goregous when it arrived, accompanied by a little basket of tomato bread. Air-dried ham was amazing, while the parfait simply melted in the mouth. The terrine was a little underwhelming, despite featuring chunks of meat and little capers. It simply needed more seasoning, but dissapointingly, there was no salt or pepper on the table. The chunk of Wicklow Brie was far too small. I followed the plate with a delicious firm panna cotta served with raspberries. Overall I like Camden Kitchen but I'm not convinced that it's the best new thing on the Dublin restaurant scene - mainly because I found the prices to be a smidgen too high. However, it is relaxed and charming and undoubtedly is worth another visit - purely in the interests of research of course! There is always going to be a demand for a guide that can steer you around the City of Romance on the cheap. As we all know, romance usually comes with a hefty price tag, but this simple and easy book from Frommer's offers a wide-range of free or cheap attractions. Attractive but purse-friendly hotels or relaxing cafes that don't charge an arm and a leg for a drink. How about a nice meal in a neighbour restaurant off the tourist-track? This guide offers them all. It's simply laid out with clear maps and it offers a different view of the city when compared to the more conventional travel guides. Some of the suggestions may be a little offbeat, but it's also got plenty for the regular tourist. It also fits in nicely with the current trend of both saving and splurging while on holidays. If you can save a few bob on one part of your trip, that means you can splurge later! 31 Bond Street recreates the events around the 1857 murder of Dr. Blundell. Set in New York, just 4 years before the Civil War, the novel offers a fascinating view of society at this time. Dr. Blundell's murder was a sensation, causing a media frenzy and resulting in his housekeeper, Mrs. Emma Cunningham, being charged with his murder. The young, but prominent lawyer, Henry Clinton, takes on her case, which pits him against the well known public defender Oakley Hall. In the courtroom, both men argue their cases with passion and belief. 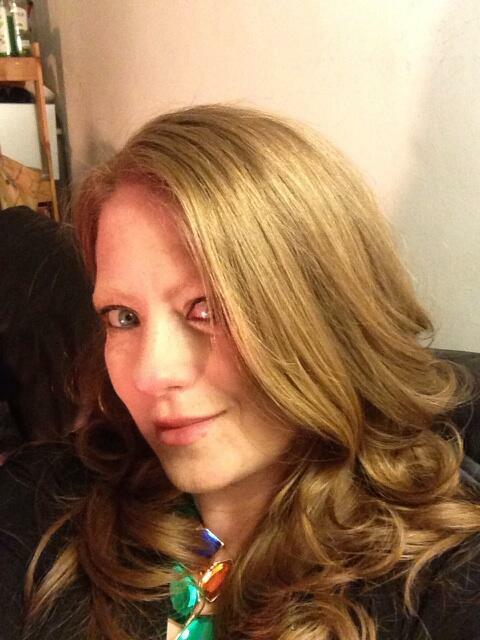 All the while, the media storm around the enigmatic Emma Cunningham continues. This is Horan's debut novel, and for the most part, she has written an intriguing and captivating tale. She cleverly mixes timelines to produce a clever whodunnit. However, it does fall apart a little towards the end as the greater plot and story is revealed. This is definitely one of the better efforts at a historical mystery and is deserving of a read. However, it also has a slight feel of storytelling by rote - resulting in what is overall a good read, but not a great read. Here's some roasted red pepper and smoked ham risotto which I cooked this evening. Filling and tasty, I just loved this risotto. I was really very pleased with my recent meal in New King chinese restaurant in Amsterdam. It's nicely decorated, and I just had the feeling that I was in a place that valued style over substance. However, I was proved wrong by the food. I chose duck hoi-sin pancakes while himself had the shrimp dumpling soup. The soup was a clear, lightly-flavoured broth with lots of choi, with several large dumplings filled with juicy prawns, flavoured with sesame oil. The duck pancakes did not feature the usual thin paper pastry, but instead came pre-assembled in thick, freshly-fried, slight sweet pancakes. Fantastic start. I chose the mixed meat plate for my main which featured roast duck, chopped on the bone, along with char siu pork and roasted pork. The char siu was exceptional, with a lovely carmelised texture. His dish of beef with morning glory featured a whole heap of wilted greens and tender meat. Two glasses of wine, 3 small beers, 2 starters and 2 mains came to an exceptionally good value total of €50. I'm a pretty keen amateur photographer and I'm always on the lookout for great photos and descriptions of how those shots were acheived. I hope that by studying and thinking about great shots, I can improve my own style and become more original and creative. Therefore I was really looking forward to receiving this book as part of the Amazon Vine programme. This book breaks down into 2 parts - the first part deals with the basics of modern photography such as aperture, focus and ISO, while the second part deals more with composition. The book features many photos taken by the author, but the print quality of the book removed the impact from a lot of the photos. Print quality aside, I found myself looking at many of the shots and feeling uninspired - I simply didn't consider some of them to be good photos. However, that's a matter of subjectivity, so let's leave that aside for now. I'm also unsure as to the proposed audience for this book - it's published by John Wiley & Sons, a famous textbook publisher, but it's not detailed enough to be a textbook for the serious photographer. On the other hand, the material is a little too advanced to be suitable for the beginning photographer. Stoop & Stoop is a very typical Dutch eetcafe, located off Leidsestraat, in the centre of Amsterdam. Eetcafes are a cross between pubs and restaurants and often serve straightforward food - in Stoop & Stoop, I enjoyed a fantastic rib eye steak served with garlic butter and accompanied with salad and fries. Total cost along with a glass of house white wine was E19.10. Well recommended for any visitors to the city. Bernie Madoff has gone down in the history as the man behind the world's largest known Ponzi scheme. When his scheme collapsed following the market crisis of 2008, hundreds of investors lost their savings with the total loss estimated at being in excess of $50 billion. The truly shocking part of this story is that this terrible loss could have been mitigated - if the Securities Exchange Commission had heeded the warnings of Harry Markopolos. In the years preceding the collapse, Markopolos had filed no fewer than 5 complaints against Madoff, all of which had been lost or ignored by the SEC watchdog. It is tragic to read of Markopolos' repeated efforts to bring this to the attention of the authorities and the mind boggles at how all these red flags could have been ignored. 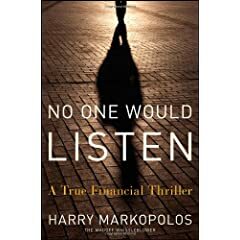 Markopolos does tell an intriguing and well-written story. However, I must admit that it is rare to read a book where I've actively disliked the author. Markopolos has a strong character (stubbornness is especially obvious) and I can see how individuals in authority might have taken a dislike to this man. But when fraud on such a massive scale is being alleged, personal likes and dislikes should not come into the picture. Markopolos' revelations led to him testifying in front of government and has triggered a review of staffing and procedures at the SEC. His work has led to significant change and it cannot be underestimated. Read this story and marvel at a tale of ineptitude and dedication. The Apothecary's House is a story set in wintery Amsterdam, with a story which stretches back over 250 years. Ruth Braams is a solitary art-historian working on processing claims on artwork stolen by the Nazis during their occupation of the Netherlands. One day while working at the Rijksmuseum, she meets the elderly, and possibly dotty Lydia who has registered a claim on an odd little painting. However, an opposing claim has also been registered and soon Ruth finds herself being drawn into a dark and dangerous adventure. Matthews has really captured the essence of the city of Amsterdam in this novel - from the foggy mornings to the frozen canals. He has also done an impressive amount of research, stretching from 18th century Amsterdam right through to the goings-on in Nazi-occupied Holland. However, the novel is lengthy (700 pages) and this does detract from what could be a decent and interesting art history mystery. The twist and revelation is good, but is overwhelmed by overuse of arcane writing. 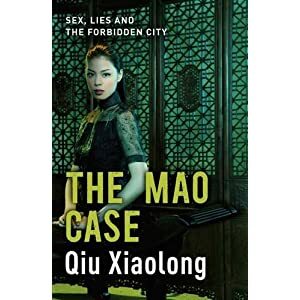 Although labelled as a murder mystery, The Mao Case and other works from Qiu Xiaolong, are deeper stories concerning with the rapidly changing and mutating society in millenium China. The shadow of Mao and the Cultural Revolution looms over a society which is looking towards the future. Inspector Chen is both a poet and detective. Cultured and educated, he is entrusted with investigating the suddenly affluent lifestyle of Jiao, granddaughter of a disgraced movie star. But as he begins his investigation, the body of Jiao's friend is found in the garden of a gently decaying Shanghai mansion. The case is politically sensitive, due to the connection between Jiao's grandmother and Chairman Mao. In fact, Internal police are convinced that Jiao holds some secret material from Mao, which cannot be allowed to resurface and tarnish his beloved and treasured image. This is a crime novel of a different ilk. Originating as it does from a different culture, Xiaolong's story offers a different type of crime novel - intellectual and educated. It is wistful, literate and utterly unique. What do you think of Hells Angels? Are they a free-wheeling group of "good old boys" who occasionally have a run in with the law, or are they a global crime empire dealing in drugs and guns? Originating in West Coast America, the HAMC have expanded into every major continent, but by doing so, have attracted the attention of every major law enforcement agency. Marsden and Sher are two Canadian journalists who initially wrote a feature on Canadian motorcycle gangs. From this, they expanded the scope of their research to include biker gangs across the world from Canada to Amsterdam, Scandinavia to Australia. Many horrific tales of murder, beatings and feuds are recounted, but also we read the stories of the undercover police who have risked their lives and sanity to reveal the extent of the bikers' activities. The authors have done a lot of research following the trail of HAMC and their affiliates across the globe. 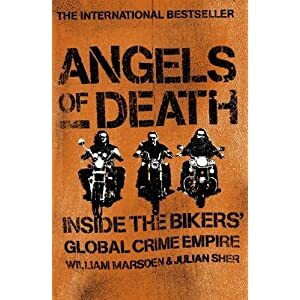 For anyone new to the world of outlaw biker gangs, this serves as a great introduction, but the bland writing style negates a lot of the excitement and danger contained in these stories. P.King is a modern, funky bar located at the corner of Herengracht and Vijzelstraat. Or wait.. is it a Chinese restaurant? It's a glorious concept. Settle down for some beers and when the munchies kick in, you can order some Chinese food. Downstairs is bar-like, while upstairs is more restaurant-like. The menu is cleverly arranged with a good selection of starters, followed by main courses which are available in small and large sizes. We shared a mixed platter of starters (all delicious) which we then followed with two small main courses. Although we weren't keen on the lemon chicken (gloopy without a real lemon bite) or the roast pork (just roast pork, no flavouring), there was the added benefit of getting a bowl of rice as a side dish. I think we just chose badly, as other dishes coming out from the kitchen looked and smelled delicious. I think that I've found an ideal spot in P.King for mixing beers and nibbles. Additionally, there is a nice selection of seating outside facing onto Herengracht, so this place is bound to be popular in summertime. I think that this is the first 3D film I've seen that really worked. Simple animation combined with intelligent use of 3D seems to be the way forward. (Clash of the Titans take note - that film nearly put me off 3D for good). This is a typical story (outsider, friendship, acceptance and love) but it stands out from the rest with some amazing and funny characters as well ashaving a charmingly cute black dragon! Set in a dour Viking outpost which is beset by dragons, Hiccup is a young boy who just doesn't quite fit in. In an attempt to prove himself, he injures a Nightfury, the most feared of all the dragons. This leads to a deep bond between himself and Toothless. The Vikings (who have scottish accents!) have battled the dragons for eons and Hiccup finds himself in the unenviable position of being expected to kill a dragon. This is a funny film (with an odd obsession with underpants) and is easily one of the best children's/family movies I've seen in a while. Kids will enjoy it but adults will also find it more than amusing, and probably a step above the inane Nanny McPhee 2. Social media has grown phenomenally over the last few years. It's a rare person who hasn't heard of Twitter or Facebook at this stage. Initially used by individuals, businesses are realising the potential of these new media channels and are starting to embrace them. 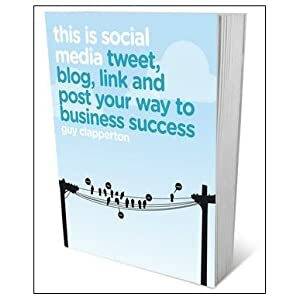 Guy Clapperton is a highly experienced media consultant who has produced a simple, easy to read guide for business owners who want to get started in the world of social media. Clapperton advises caution and warns against starting a social media strategy simply for the sake of doing it. He recommends making sure that it fits with your audience, with your strategy and more importantly, with your budget. Clapperton devotes a chapter to a high-level review of the main social media channels, providing a description of each along with a description of the typical audience for each site. People mystified by the burgeoning world of social media will no doubt appreciate this chapter. This is an honest book that is easy to read. It's for the complete beginner, so it's easy for more experienced people to dismiss it and the advice it contains. But remember, there was a first time for everyone and therefore this book has its market. It's a good starting point for novices in this brave new world. Cafe de Fles is located just over the canal from my Amsterdam residence. It's located down a steep flight of stairs and has looked so tempting for so long now. I finally got to visit last weekend, and immediately I regretted not visiting much sooner. Step carefully down the steep flight of stairs and you'll find yourself entering a dark wood panelled basement with an enclosed kitchen in the middle. The delicious smell of grilling meat will greet you, making you keen to get started. In order to maximise space, there's even an indoor balcony to hold some extra tables. The set (or monthly) menu looks like amazing value with three courses for €28.50 featuring king crab, ostrich steak and duck liver mousse. We however, opted for a single course each. I chose the tuna steak while he went for the spare ribs. My tuna steak came rare, served with a fennel and potato cake, while his ribs were cooked until tender and served with a delicious barbeque sauce. A bowl of fries and a delicious spinach and lardon salad came as sides. This is classy cooking served in a traditional basement pub. Cafe de Fles is a true Amsterdam experience. Now that summer seems to be arriving, I'm looking forward to enjoying some evening meals at their outdoor canalside tables. The Devil and Sherlock Holmes: Tales of Murder, Madness and Obsession comes from the pen of David Grann, author of The Lost City of Z. I had really enjoyed this true life tale of swashbuckling adventure in the Amazon so I was pleased to receive an ARC copy of his newest book. Sherlock Holmes noted that “life is infinitely stranger than anything which the mind of man could invent". Grann has taken that mantra to heart and presents a collection of true tales which feature obsession, perverse behaviour and even murder. The collection starts with the apparent murder of the world's pre-eminent Sherlock Holmes scholar who is found dead following an obsessive quest for the missing archives of Arthur Conan Doyle. Grann progresses to arson detectives, an amnesiac guilt-ridden survivor of 9/11 and white supremist gangs. The scope is wide and far-reaching and Grann has clearly taken each story to heart, travelling to research and meet the characters involved. He even manages to make some pretty unsavoury characters seem sympathetic. Because each story is free-standing, this is an easy book to read in pieces. In fact, each of these essays has been previously published, with the majority appearing in The New Yorker Magazine (although they have been revied and updated for this edition). This explains perhaps why the collection of essays in one edition doesn't seem to gel quite right. They are fantastic stories, but are better suited to piecemeal reading, rather than a continuous read. The other half received two bottles of wine during the week as a thank you for a favour. He polished off the red wine on his own while I was in Amsterdam, but we just opened the bottle of white. It's a Blind River Marlborough Sauvignon Blacn 2009 and it received a 94/100 score from Bob Campbell, a Master of Wine. It's really tasty with strong fruity flavours - gooseberry and passionfruit come to mind. A delicious wine of which I wouldn't mind drinking more. Sometimes the urge to shop takes over - and when it does, you have to satisfy it! eBay is both my most favourite and most hated site. It's been the cause of too many impulse purchases. 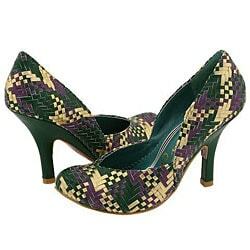 However, these Irregular Choice shoes for about $25 didn't break the bank. On our way to Waterford today, we stopped at Kildare Village for a quick browse and bite to eat. Despite the horrible rain, the place was pretty full. I popped into Reiss and couldn't resist this gorgeous beige trench coat with pleated trim. I have been thinking about changing from my red wool winter coat - so this will do the job nicely. Wall Street has long been a source of fascination for me and many people. It's kind of frightening to think that the money you earn and spend, the money you invest in pensions and savings, and the debts you incur are all influenced by the actions of a relatively small group of (mainly) men located in financial centres like Wall Street. House of Cards tells the story of Bear Stearns, a global investment bank, which was the first major casualty of the recent crisis in the financial markets. Bear Stearns was a pioneer in the area of securitisation and asset-backed securities which initially resulted in bumper figures at the bank, but ultimately led to its downfall in 2008. This resulted in the bank being sold in a firesale to JP Morgan Chase. The story starts in 2008 and recounts the mounting pressure on the bank's executives as they faced an unparalleled liquidity crisis in the overnight lending market, resulting in the sale of the proud and historic bank, all in the space of just 10 days. Having established the present, Cohan then starts to take us through the history and key personalities of Bear Stearns. What emerges is a portrait of how powerful and dominant personalities came to be in charge of billions of dollars. One of the main figures in the rise, and ultimate downfall, of Bear Stearns is long-serving CEO Jimmy Cayne. Named as one of the worst American CEOs of all time, Cayne is endemic of both the brilliance and faults that lay at the heart of the bank. A championship bridge player, he was playing in a tournament when B.S. hedge funds experienced difficulty, and it was clear to see that he did not comprehend the financial instruments upon which the success of Bear Stearns had been built. Cohan paints a picture of character over integrity, forcefulness and personality over knowledge and regulation. It is a scary world, full of folly. Many people are confused about recent events, but House of Cards is a wonderful place to start to learn. It is well researched, detailed and well-written. Cohan does not eulogise, but simply presents the personalities and facts. There is no need for embellishment - the outcomes of recent years speak for themselves. I was absolutely shattered after returning to Amsterdam yesterday, and the last thing I wanted to do was cook. So I wandered for a few minutes in the shops and then I decided to get something to eat. I came across Cafe Morlang on Keizersgracht, which looked quite nice from the outside. When I saw a wagyu beef burger advertised on the menu, my mind was made up. You enter through a heavy velvet curtain into a nicely relaxed atmosphere. Music is playing in the background and apparently there is also wifi on offer. The menu at Cafe Morlang is intruiging with mixed cusines, but I did order the beef burger which came with thick-cut fries and a big serving of hollandaise sauce. The burger was weirdly soft and loose, kind of like a gently-fried steak tartare. Any taste that it may have had was overshadowed by the slightly burnt taste from the accompanying bun. Fried mushrooms decorated the top. At €16+ I must admit that I was a little disappointed. I followed up with a Mexican coffee (tequila and kahlua) which was more than rich enough to send me shuffling off home all happy. It was with interest that I read on Beaut.ie today that online cosmetics retailer StrawberryNet plan to increase the prices charged to Irish consumers. They intend to do the same thing as play.com whereby they will only allow Irish shoppers to transact in Euros, thus denying people the chance to take advantage of better currency rates on their credit card. Shame on you StrawberryNet. Such a pity - why do you feel the need to resort to underhanded tactics like this? Steakhouse Piet de Leeuw is one of those neighourhood treasures. Located on the quiet Noorderstraat, off Vijzelstraat, it caters pretty much to locals and the odd tourist. It's panelled in dark wood and offers a simple menu of steak, pork, liver and fish. You get the feeling that nothing much changes here. If you wandered in 50 years ago, things would pretty much have been the same back then. Servant of the Underworld is the first in the Blood and Obsidian Trilogy from French writer Aliette de Bodard. Here, she mixes Aztec culture, blood magic and forensics to create a new genre in the fantasy world. There is no doubt that de Bodard has taken on a hefty task in recreating the Aztec world, given that we know so little about it. However, she has deftly managed to create a living, breathing world full of detail. When you think about it, the main hero, a High Priest for the Dead who kills animals for sacrifices, shouldn't be a very nice character. As the author herself admits, he doesn't commit human sacrifice in the book, although chances are high that he would. However, the character of Acatl is endearing and human as he struggles to clear the name of his warrior brother. Overall though, I just couldn't involve myself with the book. It felt lacklustre and devoid of real energy. Perhaps it was as a result of all the detours into songs and chants, but I couldn't muster any real enthusiasm. Thomas Cale is a young acolyte in the Sanctuary, home to a order of warrior monks. His life is brutal, cold, hungry and tough. Friends aren't tolerated in the order of the Redeemers and training to wage war is the order of the day. It is clear that Cale is being trained for some special purpose but nothing is clear. Following a horrific discovery, Cale is forced to flee the Sanctuary along with two fellow trainees and a young handmaiden. Although ferociously hunted by the Redeemers, they manage to evade their persuers and make their way to the city of Memphis, where their lives start to take some interesting turns. Thomas Cale is a interesting character - he is at turns a killing machine and devoid of feeling, but he also struggles with latent feelings and emotions. In a way, Cale is typical of this novel. It struggles with an identity. I was uncertain in which timeline or world this story was set. Was it a post-apocalyptical tale, an early medieval tale or a story of a parallel universe? 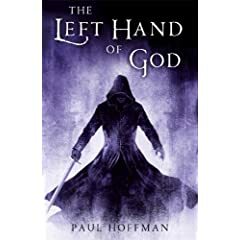 Although Hoffman writes eloquently, he fails to elicit real emotion or interest. A climatic battle scene simply passes by without raising a real sense of doom or defeat. The book is the first of a series, but I won't be reading further. It simply didn't engross me enough to buy more. I went into town a week ago with the intention of buying something. It was one of those days when I desperately wanted to buy something new - something different to wear to the office. I was delighted by the current selection on offer in M&S and ended up buying the two tops shown above. I love the blue shade of the sleeveless top, as well as the simple pleated detail. The only disappointing feature with these two tops is the rather inflated Euro/Sterling exchange rate offered by M&S. The chiffon top is currently £25stg on M&S's website, which equals approx €29 according to xe.com/ucc. However, I paid €35. However, in fairness to Marks, they're not the worst offenders out there. Rupture is Simon Lelic's debut novel and it is, in my opinion, a tour de force. It opens following a shooting at an English school where a young teacher shot pupils and other teachers before finally turning the gun on himself. As the investigating detective Lucia May starts to dig, a whole world of institutionalised bullying is revealed. Shockingly, her investigation starts to mirror her own experiences in the police force, leaving her sympathetic to Szajkowski, the gunman teacher and his actions. Lelic has employed an unusual structure for this novel. When not speaking as Lucia May, he alternates between the voices of the various supporting characters. This reveals Lelic to be a deft and captivating writer, easily able to change voice at the turn of a page. This novel is something of the zeitgeist. On one hand we have a headmaster who ignored activities in the school in order to maintain a high profile while on the other hand we have stories of young children cruelly bullying others. It somehow captures the societal breakdown that many feel is endemic in our modern world. Rupture is a shocking and riveting story which is exceptionally well written. 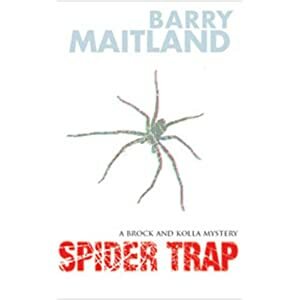 Not only is it a police novel but it pushes and investigates society and bullying. An amazing read. Germania is, surprisingly, a history of Germany. The thing is though, it's not told from a stuffy, rigorous perspective but instead is told in an easy and humorous manner by the author. It is at times irreverent and long-winded, but it is always entertaining and illuminating. Winder is a man obsessed with all things German. Ever since a childhood holiday in Germany, he has been fascinated by this country that sits at the heart of Europe, but which yet took so long to solidify into a coherent sovereign state. 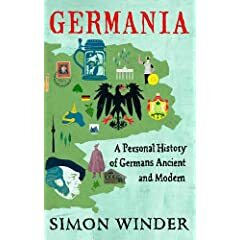 Winder mixes descriptions of favourite locations around Germany with a very liberal dose of history, and a unique perspective on the Germans. The book stops just shy of WWII as the author clearly does not feel comfortable with this dark period in German history. However, the book stretches back in time to the Romans, thus covering a significant period of time. The book is peppered with laugh out loud comments and observations, but when finished reading, I realised that I had also absorbed a large amount of factual knowledge. If only all historical writing was this captivating. Arun Motianey is an ex-Citigroup senior employee with a wealth of economic experience. With the current worldwide turmoil, he has chosen a highly appropriate time to advance his theory of the SuperCycle. The SuperCyle is a long, continuous wave of up and down that stretch throughout the global markets. Motianey attributes the existence of the SuperCycle to the misguided, but well-meant actions of policymakers and leaders. The author takes us through the entire story of a SuperCycle, from beginning, middle to end, using the classic example of the Great Depression to highlight his theory. This naturally leads to an exploration of the current crisis. Motianey's argument against lending on asset value, rather than on income streams rings eerily true following the recent falls in property prices. Be warned, this is not a light read and definitely not for the faint of heart, or those unlearned in matters economic. I frequently found myself researching topics on the internet in order to supplement my basic economic knowledge. But the author makes interesting reading and his contrary viewpoint is definitely welcome in a time when no one seems to have the answer. Restaurant de Struisvogel is an amazing little find in the Jordaaner district of Amsterdam. It's tucked down a steep little stairs in the basement of a corner building on the canal edge. In here you'll find a small and charming little gem! de Struisvogel offers an amazing 3 course menu for €23.50 which features organic or free range meat only. On the night I visited, I chose scallops for my starter (served perfectly cooked) while I went for ostrich steak (not surprisingly, incurs €3 supplement) for my main. The steak was delicious and came served with wilted spinach and a few little roast potato wedges. My dining companion went for the blinis to start, which she followed with the delicious truffle risotto. For desert I chose the apple and rhubarb crumble, while my friend enjoyed the traditional stroopwafel. de Struisvogel is a fabulous little restaurant which serves high-quality, simple, French food at exceptional prices. I know that I'll definitely be heading back to sample more of their dishes. It's snowing in Amsterdam, and I was seriously tempted to stay in the hotel tonight and have a steak in the restaurant. But a group got together and so we headed out along the snowy and icy canals. Elandsgracht is a nice wide street in the Jordaan district, and it was there that we found the busy and hopping Rakang Thai restaurant. A plate of shared starters was excellent as was an utterly sublime coconut chicken soup, fantastically flavoured with lemongrass and ginger. I would return to this restaurant for the soup alone. At this stage, I was expecting great things for the main courses, but unfortunately things went downhill from here. The main courses (a beef massaman, spicy duck and garlic chicken) were overblown with no subtlety in the spices. The duck in particular had a bitter flavour in the spice paste. Espressos served with little chocolate coffee beans were sharp and strong. The decor alone is worth a visit at Rakang. The tablecloths have shirt collars and ties attached, while little statues with phalluses feature on some tables (well, it is Amsterdam after all). The food was a mixed bag - some great, some not so great. At the prices being charged, I'd probably only head back for the soup! Beat the Reaper is described on its cover as being like "mixing a hospital drama with Godfather and Tarantino" - rather apt I think. Peter Brown is an intern at a New York hospital - he's also a member of the Witness Protection Programme, having been a mafia hitman in a prior life. He's the guy you want around when things start to go bad, but you probably would be slightly worried if he sat next to you on the bus. When an old connection turns up in the hospital with potentially terminal stomach cancer, Peter's new life changes in a heartbeat. Peppered with violent scenes, medical tips, expletives and fun, Beat the Reaper is a great piece of humourous, lightweight reading with a dark touch. We visited La Palma on the Mall in Waterford last Saturday night. They offer an excellent 3 course menu with tea/coffee for €30 every night, which costs €25 before 7pm. It won't be any surprise then to hear our booking was for 6pm! La Palma is a beautifully decorated restaurant with impeccable service and very good good. My starter of gnocchi with rare duck slices in a honey cream sauce was something special. The contrast of sweet and meaty was unique and very more-ish. My main course of rib-eye steak featured an excellent tender steak, which was unfortunately unsalted. Lovely little roasted chunks of potato accompanied the mains. I was very much tempted by tiramisu for dessert, but enjoyed my delicious little pot of creme brulee. It's clear from the flavours and presentation of the food that there is a clever chef in the kitchen at La Palma. It's not always quite right (i.e. not seasoning a steak correctly, but then producing such a fantastic starter) but it is good. And a price of €25 per person for three courses definitely strikes a sweet note. Hilary Mantel's epic novel was the winner of the 2009 Man Booker Prize. On its Amazon page, there are lists of quotes from critics who uniformly hail it as a "feast" and "compelling". The story is set in Tudor England with Henry VIII upon the throne, and in his first marriage to Catherine of Aragon. He is however, without an heir and a certain Anne Boleyn is lurking on the fringes of court. This was a turbulent time in English history and Thomas Cromwell was a key figure in the King's Court. Mantel's tale is told from Cromwell's perspective as he rises through the ranks at court to become a chief advisor to the King, guiding him through the separation from the church in Rome. Knowing Cromwell's ultimate end makes this tale all the more fascinating. Mantel has apparently promised a sequel which will undoubtedly satisfy the need for full historical disclosure. I must admit though that I found this book a bit of hard work. It's extremely well-written, but Mantel's use of a disjointed narrative can be oblique. Mantel does a superb job of recreating the intricacies of the Tudor court, magnificently bringing the dominant personae of the time to life on the pages. All in all though, the slow pace and dense wording make the book more of a chore than a pleasure. Last Saturday night, an old friend and I arranged to meet up to discuss our careers and lives, preferably over some nice food and wine. 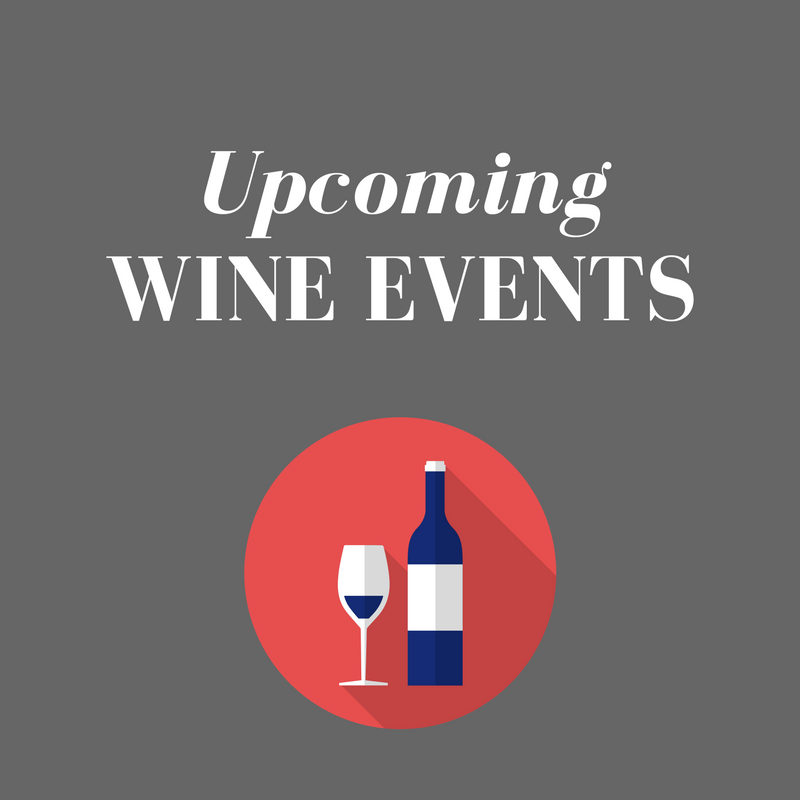 We had initially arranged to go to the new snazzy Ormond Wine Bar on Ormond Quay Upper, but it turned out that they wouldn't be serving food until later that night due to a private party booking. Well, we weren't going to let that put a spanner in our works and we headed off out into the night in search of somewhere nice to sit and chat. Turns out we didn't have very far to go, because right over Parliament Brdge, we came upon The Larder Bistro. Given that it was early on Saturday night, we had no trouble getting a table. I especially loved the little sprigs of rosemary which decorated each cutlery and napkin setting. We both ordered a small salad for starter (smoked salmon for my friend and goat's cheese with balsamic carmelised onions) and then shared a large mixed platter of charcuterie and cheese. The large platter was more than enough for the two us and we loved the fruits, pickles and honey which accompanied the dish. We both enjoyed two glasses of wine each (a Rioja for my friend and a lovely Pinot Grigio for me). Total cost for two starters, one large main course and 4 glasses of wine came to a very respectable €55. I really think that The Larder is doing the right food with the right wine at the right price. It's straightforward, honest and downright nice. A good while back, I reviewed "Free Food for Millionaires" by Min Jin Lee, a book which explored the experiences of a first generation Korean American. I was struck by the parallels between that book and this debut novel from Bich Minh Nguyen. Granted, the former focuses on Korean immigrants and the latter on Vietnamese, but both novels are rich with the struggle of American-born children of immigrants. This novel centres on two sisters, Van and Linh Luong. Van is the elder daughter, an immigration lawyer, serious and with a marriage in difficulty. Linny is the younger, carefree, working as a cook, and trying to end an affair with a married man. Both sisters are dealing with crises but keep their distance from the other. At the centre of their lives is their widowed father. He has been obsessed with the short stature of Vietnamese people his whole life and uses all his inventive mind to create the Luong Arm, a device to help shorter people reach items on top shelves. In order to futher his inventions, he decides to become a naturalised citizen of the U.S. and enter a reality TV show for inventors. It is while begrudgingly attending to their father that the two sisters realise that they are both at crossroads in their lives. Drawing on each other in way that they haven't done since childhood, they find the strength to start living new lives. Nguyen has written a simple novel that somehow captures the readers' interest. The two sisters are real characters who will resonate with a lot of female readers. The author switches deftly between the present and the past to tell this tale, but maybe the characters realness is their failing, as somehow this novel fails to linger to any great degree. John Banville is a writer of legendary proportions who has chosen to write under the pseudonym of Benjamin Black. This short novella is a deviation from his other Black novels in that it is set in New York, rather than Dublin. Our protagnist, John Glass, is a once-famous Irish journalist, who is living a loveless marriage in New York. He is having an affair with an Irish artist, but is subservient to his wife, a glamourous New Yorker who runs the famous Mulholland Trust. Her father is Bill Mulholland, an ex-CIA operative reknowned for his honesty who later made his fortune in the electronics industry. Bill has asked John to write his biography, telling him of his desire to keep things in the family. Struggling to rise to the challenge and rediscover his desire for writing, Glass hires Dylan Riley to help with the research. Unfortunately Riley turns up dead, leaving Glass worried and more than a little scared. Despite an initially intriguing outline, the story is weak, uninspiring and a bit too fantastic. For a short story, it feels too long. When I was a student in Cork, friends of mine lived in a grotty old house in Sunday's Well Cork. Just around the corner was Annie Mac's, a traditional old pub. Well, in 2oo8, Annie's Gastropub replaced the old Annie's. Thing is, I wasn't living in Cork anymore, so I didn't get to see this transformation firsthand. Well, on a recent visit to Cork, friends told us about Annie's, so we decided to visit for Sunday lunch. It turns out that Chef Zico Ali is an old hand at the gastropub game, having worked at The Lord Palmerston, a leading early London gastropub. Upon entering we were greeted by a large blackboard featuring the many varied offerings of the day. I wondered how a small pub on the wrong side of the Lee could manage to offer so much choice to diners. The interior is a little chilly, having been painted all creamy white, but some sunshine managed to struggle in. Having decided, we took our seats in the winter sunshine and ordered. While waiting, the waitress delivered some delicious homemade bread with olive oil and balsamic vinegar for dipping. With excellent oil and bread, we appeared to be off to a good start. The spicy sweet potato soup (E4.95) turned out to be a little more vegetable-y and brothy than I would have liked. I know sweet potatoes can make a beautiful, smooth soup with a sweet flavour. This however, was not that. My starter of haloumi, hummous, babaganoush and warm pittas (E9) turned out to be pretty good with a deliciously smoky babaganoush and rich hummous. I couldn't help however but unfavourably compare the price tag for 4 small dollops and half a pitta with the price for a full-on Lebanese lunch in the Cedar Tree, Dublin. With our starters cleared, we returned to the Sunday papers while we waited for the mains. About half a dozen local men were seated at the bar, enjoying their post-mass, pre-lunch Sunday pint while discussing sport and other important local stuff. It was clear that these lads were impervious to the gastropub tag. They were continuing to visit their local, regardless of the changes around them. My main of belly pork with winter vegetables and apple sauce (E20) turned out to be just too sweet. The pork was beautifully cooked, two nice squares falling apart at the touch of the fork. But there was a general lack of salt in the dish, both on the meat and the accompanying piece of crackling. A sweet gravy, combined with the apple sauce overpowered all the other flavours on the plate. The Hereford rib eye steak (E24) was superbly well-aged with a dry texture that wasn't dry! It was well-cooked and rested and came served with potato wedges and aioli. Overall, I just wasn't impressed by Annie's. The ingredients used are clearly of good quality but the overall effect was of trying too hard, and charging too much. Gastropub doesn't mean a licence to charge large amounts for Sunday lunch. All through the meal, I couldn't help but think of the likes ofOliver 's Eatery in Terenure were you can enjoy good pub food at great prices. It's always been a Cork thing to charge too much - but I don't believe that restaurants in Cork do any less business than restaurants in Dublin. Two espressos bought the bill to E62! For lunch! Not on lads. One morning, while on his way to work, Londoner Niall Peterson suffers a heart attack on the underground. He comes round to find an elderly lady working to save his life. As soon as he feels better, Blackbird begins to tell him an amazing story. Niall is of Feyre blood and a creature from another dimension just tried to use his body to gain access to this world. Niall's powers are awaken and he has to adjust to a new and dangerous world. As Niall learns about his heritage and his new view on the world, he uncovers a dangerous secret. The barrier that separates our world and the Feyre world is weakening. 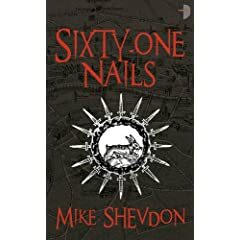 Racing against time, Niall and Blackbird must recreate the ancient ceremony of the Sixty-One nails and reinforce the barrier that protects humanity. Shevdon has created an intriguing world in his first novel. It's very real, set in a London that is familiar to all of us. The author has used fascinating historical facts as the basis for his story, but takes the traditional fairy tale and turns it on its head. Not every question is answered which leaves the reader waiting for more in the next installment. A very good debut in the fantasy world. Christmas bought us a raft of books on the recent collapse of the Irish economy, one of which was "The Bankers: How the Banks Ruined the Irish Economy". The author, Shane Ross, is an independant senator for TCD, who has always questioned largesse in the Irish economy. As business editor of the Sunday Independent, he has seen it all and was the 2009 winner of the Journalist of the Year award for his investigations into the shennanigans at the state agency FAS. 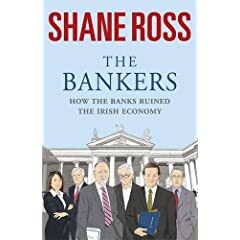 In The Bankers, Shane Ross investigates the history and actions of all the various factions involved in the recent meltdown. He takes us through the story of key players such as Sean Fitzpatrick (Anglo Irish Bank) and Michael Fingleton (Irish Nationwide) who both acheived phenomenal growth at the helms of their respective institutes. The actions of the supposedly independent Financial Regulator, headed by Patrick Neary, did nothing to control the increasingly reckless lending promoted by the Irish banks. The story gets more intriguing and gripping as Ross brings us towards the climate. The retelling of how the new Finance minister, Brian Lenihan, dealt with events is illuminating and surprisingly personal. Ultimately, upon finishing the book, I was gripped with the dual emotions of both anger and helplessness. Anger at this shambolic mess the country was driven in, and helplessness, as a normal person, in the face of such collusion. It is all too evident from Ross' retelling that a cabal of bankers, developers, politicians and mandarins was always the most powerful force in the country, rather than the elected govenernnent, or the people. Ross is clearly passionate about the events that have unfurled in the country, and while this is apparent in his writing, he also tells the facts as they are. Read The Bankers, and be prepared to get angry. The Suspicions of Mr. Whicher or The Murder at Road Hill House is the story of a true murder mystery, which formed the basis of inspiration for many of the great detective stories of the late 19th century. It has all the elements of the great whodunnit: intrigue, secret relationships and a small cast of characters. In 1860, the Kent family, resident at Road Hill House, consisted of Mr. Kent, his second wife Mrs. Kent (formerly a governess to the family), his chilren from his first marriage and a group of younger children from his second marriage. As may be expected, there were typical lines of separation and favouritism between the two groups of children. One morning the governess awoke to find Saville, one of the younger children, missing from his bed in the nursery. Thinking that he was in bed with his mother, she returned to sleep. It wasn't until the household fully awoke that they realised Saville was no longer in the house. Police were called and neighbours assisted in searching the grounds. Unfortunately, the body of young Saville was found in an outdoor toilet. The local police were faced with a conundrum, the house had been locked securely from the inside, which meant that the murderer was most likely a member of the household. The pressure from the public and media on the Kent household challenged the strong Victorian feelings about the home (everyman's home is his castle), and the assignment of a police detective to this case furthered added to the interest. Summerscale has compiled and researched a wealth of knowledge for this book, but I felt a lack of cohesion throughout. Despite the meticulous detail, and the fascinating insights into the mentality of the era, the story never really pulls together. Instead it remains cut and dried. 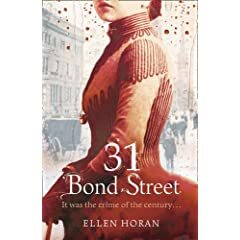 It offers a fascinating view of the Victorian era, as well as the evolution of the crime novel and the modern police detective. Recommended for fans of the era.